Is there a better alternative to Geo-Calc? 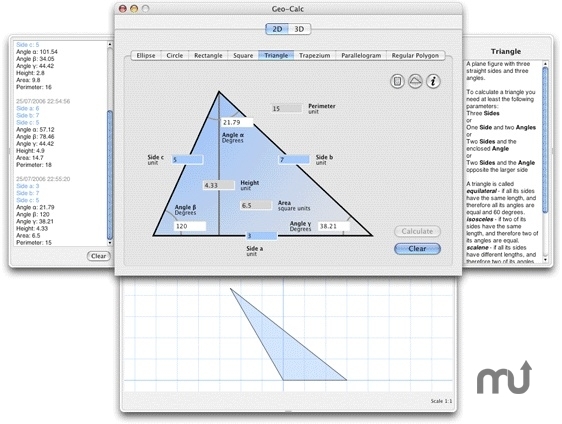 Is Geo-Calc really the best app in Mathematics category? 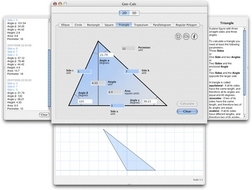 Will Geo-Calc work good on macOS 10.13.4? Geo-Calc works out all the measurements (area, perimeter, sides, angles, etc.) of common geometric shapes. A scaled drawing of each calculated shape is shown with a graph paper background in one drawer, while another shows a history of your previous calculations. A definition of each shape and the different ways to perform the calculations is also provided. Geo-Calc's shapes include an ellipse, rectangle, triangle, trapezium, parallelogram, polygon, prism, cylinder, cone, pyramid and sphere.